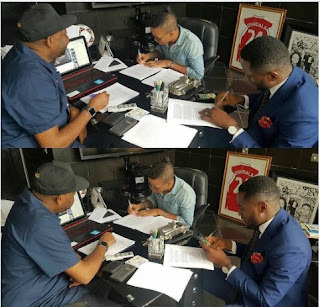 Rumour had it early last Month that Pana crooner Tekno is been signed to Sony Music worldwide. Well, it's been said that there is always an atom of truth in any rumour. Rave of the moment, Tekno has just signed and dusted the deal, in attendance was his boss Ubi Franklin. Congrats to Tekno and also congrats to his record label.